Lehigh Acres is a fast-growing community where traffic is becoming as congested as in any other place in Florida. Although Immokalee Road on its southwest border is the only major road there, this Fort Myers suburb hosts more and more car crashes. If you have been injured in a car accident, call our Lehigh Acres auto accident lawyers at the Wolfson Law Firm for help. We are available for free consultations at (239) 777-9954. 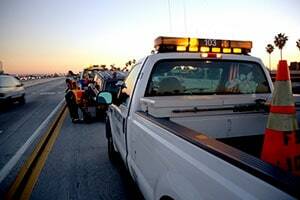 It is crucial to call a Lehigh Acres personal injury lawyer right after the accident. You need good solid advice on what to do. Our personal injury lawyers serving Lehigh Acres and Fort Myers have helped injured victims since 1963. That is more than five decades and they are standing by ready to help you at your time of need. We handle cases on a contingency basis. For you, it means that we won't charge you any fees before getting you compensated financially. We get fees only if you get damages recovery. Report the case. Call 911. Your safety, the safety of your passengers and the other driver is most important right after the event. If you are not severely injured, take care of this. Talk to the police, but carefully. Police will come to the scene and will ask you questions. Your cooperation will imply that you have nothing to hide but be careful. Sometimes police officers may ask difficult questions that you may not know the answers to, so it is best not to guess. You must avoid this at all costs because it can be used against you later. If you are not sure if you should respond to some questions, remain silent until getting a lawyer's help. Don’t talk to insurance company representatives for the other driver. They may come to the scene to evaluate if they should pay and how much they should pay. But the representative will try to save money for their employer. That’s why they’ll try to talk to you and lure you into statements that are not in your best interest. If they see there is nowhere to avoid paying, they’ll offer you a low-ball settlement. This offer is just an attempt to get rid of you and pay less than you deserve. Never accept their offer before talking to Lehigh Acres personal injury lawyer. Take photos and videos of the scene. You’ll need them later to prove that it wasn’t your fault. Take as many photos and videos as possible, from as many angles as possible with your cell phone. Call a Lehigh Acres car accident injury attorney. Fighting an insurance company is not something you should do by yourself. It is wise to get help by a professional. Our bilingual Lehigh Acres auto accident attorneys are at your service for free consultations at (239) 777-9954. We never charge fees before getting monetary compensation for damages for our clients. There is no risk for you in working with us.